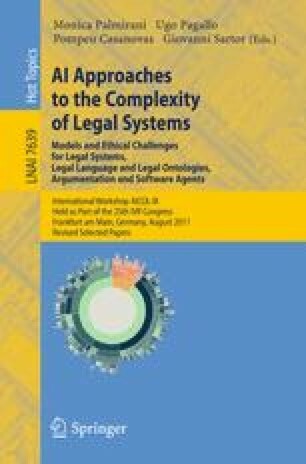 In this paper we analyse the Creative Commons computerized licensing system. We draw the attention to the fact that despite considerable efforts to make the complicated task of licensing work using so-called free license as simple as possible, the system is apt to give rise to countless ambiguities often leading to copyright infringements. We maintain that the phenomenon has been caused by the modifications of ‘language’ that facilitates the communication of the relevant section of law and consequent loss of vital context and structure in the framework of which the communication has to be perceived. We come to a conclusion that while context and structure preserving modifications should be regarded as the preferable method of simplifying legal language, its scope is too narrow to achieve the goal of making legal language easily understandable for a layperson. Unconstrained simplification is powerful enough to achieve the goal but entails a danger of driving a layperson, as well as a professional, into undesirable outcomes.